Waste collection is a basic public service performed for everyone in OECD countries. Everyone? Well, a closer look reveals that this is not the case for a significant number of people. 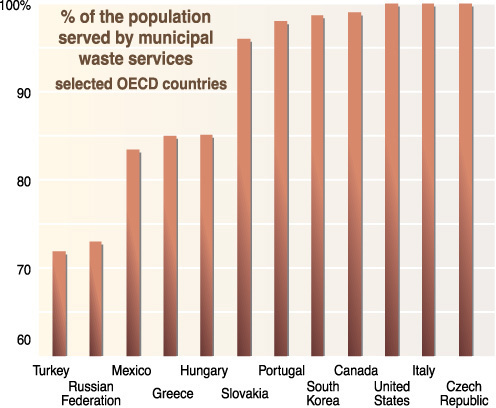 If these developed countries can’t collect all their waste, imagine the situation in many developing countries, where resources are much scarcer and access is sometimes problematic. 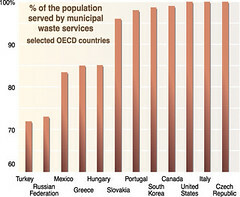 This graphic presents the situation in selected OECD countries, highlighting a number of countries which have significant ratios of their population not served by municipal waste services.